There is good news for facebook users. Facebook has launched new tool by which user can alert about ads which gives wrong information or saw wrong product. Most important things of this tool is that user can ban irritate or unwanted ads. Let me give you more details about the tool for banning the ads. First of all you need to login in your own facebook account. Go to account setting and click on the ads option. Here you will get a text link “You’ve interacted with” written option. So click on it and you will see list of ads which you have clicked before. 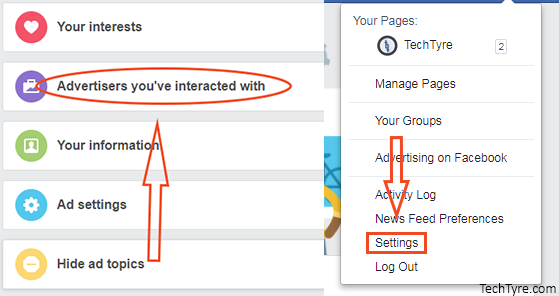 Clicking of that tab you will see so many options like whom have added their contact list to Facebook, whose website or app you’ve used, whom you’ve visited, whose ads you’ve clicked, and whom you’ve hidden. You just have to click on “Whom have added their contact list to Facebook” text option. When you click on this option you will see advertiser’s lists. There is lots of advertiser which is showing you their ads on your facebook wall. If you want to check advertisers lists which you have removed from advertiser contact list. You just need to go “whom you’ve hidden” There you can see your banned advertiser’s lists. When you use facebook in web browser you will see lots of popping ads on your right side section. Facebook earns most of revenue from showing advertisement. Facebook does not allow us to remove those ads. They do not give any option to remove from our browser. If you want to remove those ads from browser then you need to install extension which you can get and install from Google web store. 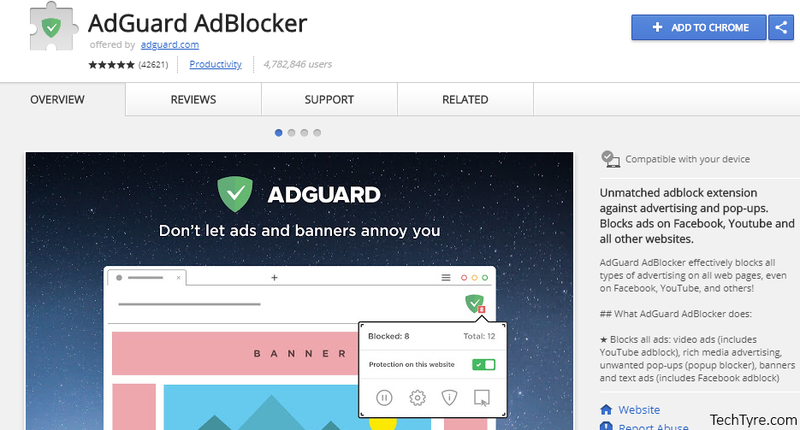 Google provides so many add-ons ads blocker by which you can block those ads but we suggest you “AdGuard AdBlocker”. Using top rated extension you can easily remove those ads from facebook browser. To remove ads you have to install this extension from Google web store. Just search “AdGuard AdBlocker” on Google web store you will see ads blockers extensions list. Just select “AdGuard AdBlocker” and click on “Add to chrome” button which you can see on upper right corner. Using this extension you can easily remove irritating ads from facebook browser.